Employee engagement has been a hot topic amongst corporations, large and small, for almost two decades now. 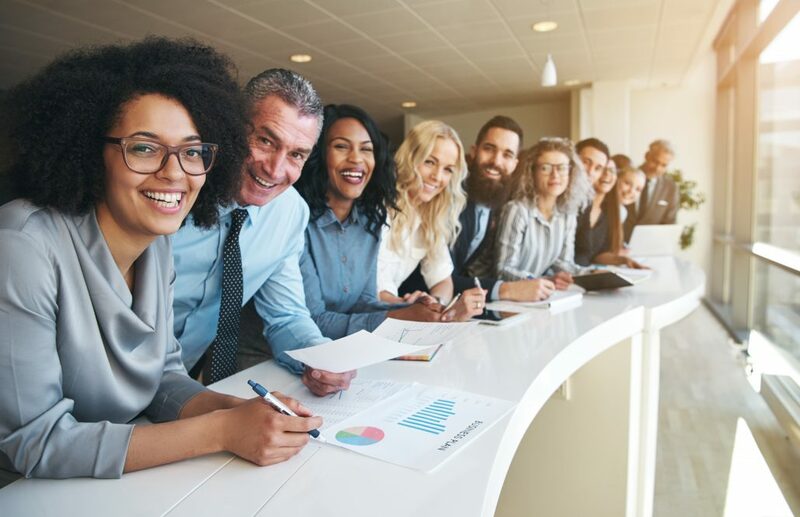 Most organizations recognize the importance of an engaged team; it helps you lower your risk of turnover, boost customer satisfaction, realize higher productivity, improve the bottom line and increase your company’s overall chance of success. Yet less than 33% of employees are engaged in their jobs in any given year. Companies have been focused on this metric for years, but the engagement numbers haven’t changed much since 2000. In one of Gallop’s recent reports, The State of the American Manager, they determined that managers account for as much as 70% of variance in employee engagement scores. Thus, bringing truth to the phrase “people don’t leave jobs, they leave managers.” So, is there anything you can do to make your employees feel involved in and enthusiastic about their work and workplace? Happily, YES! Engagement starts with the leadership communicating a clear vision for the organization. People naturally want to belong to something greater than themselves. Your vision should inspire passion and commitment from your employees (and other stakeholders) and should serve as the rally cry for your organization. If you team knows, understands and believes in the direction you are moving they are much more likely to engage. People need to understand why they are being asked to do things. The best managers and leaders are transparent with their teams (to the extent they can be). Let your team know why they are doing things (or not doing them) and how their work fits into the bigger picture. The more they understand, the more likely they will be to want to help. From the first day of employment, make sure you have clearly laid out processes, procedures and expectations for each employee. People crave certainty and they find it stressful when they are unsure of what is expected of them from day to day. If you are clear from the beginning, neither you nor the employee should encounter surprises. The strongest leaders take the time to personally connect with their teams. They get to know them at a personal level, outside of just their work, and remember that they are human with real thoughts, feelings, responsibilities, families and challenges. These leaders are interested in their team’s hobbies and families and allow each employee to bring their “whole self” to work. Showing you care creates trust and loyalty. Knowing that they are respected as individuals at work can have a significant impact on how employees view not only their jobs, but their overall lives. We each have different motivators that drive our desires and our decisions. As a leader, it is your duty to identify the motivators for your team. Each person is likely driven by a different factor, so by understanding them you will be better equipped to tap into the right ways to engage your team. People want to feel valued and know their input matters. Give your team a safe forum to let you know what is happening within your organization. Be open to ideas and suggestions from your team. Often the best ideas and solutions come from the people living through the pain points or those who are closest to the customer. Remember, you don’t need to act on everything. However, you should address and acknowledge each suggestion and explain why you are tabling it for now. The best leaders ensure that all their employee engagement efforts are aligned. They find ways to communicate the impact of the engagement efforts to the entire team throughout the year and they share best practices across the organization. Strong leaders use every opportunity, every touchpoint and every communication vehicle to reinforce the organization’s commitment to employee satisfaction and engagement. Employee engagement becomes a piece of the organization’s strategy. Your team is your organization’s most important asset, make caring for them a priority. If done right, these seven strategies will help you inspire trust with your team. The Person All Manufacturing Salespeople Should Know Public Relations For Manufacturers – Our Best eBook Yet!